Welcome to the world Baby Max! 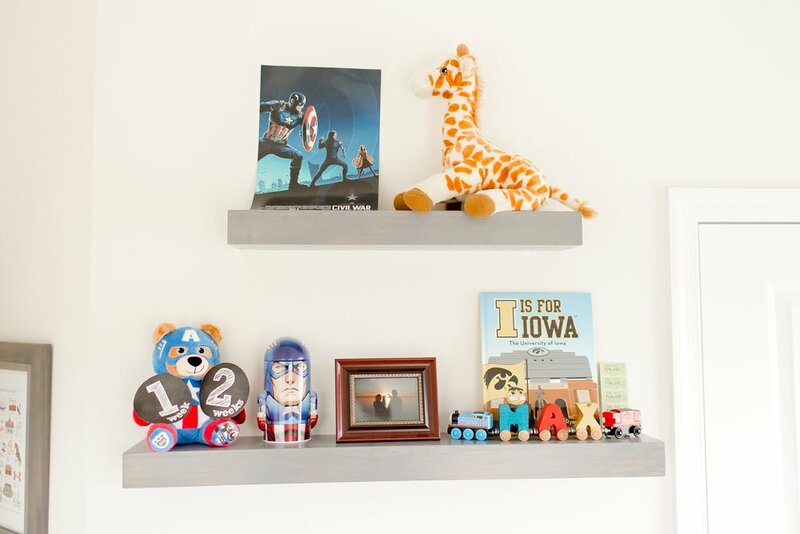 I love the superhero theme that Ashley & Matthew chose for baby Max's room. They even had little characters as props for the pictures! When it was time for Max to wear his cute crabby outfit he was upset and couldn't stop crying. It was very fit for the outfit. Happens all the time during newborn sessions! 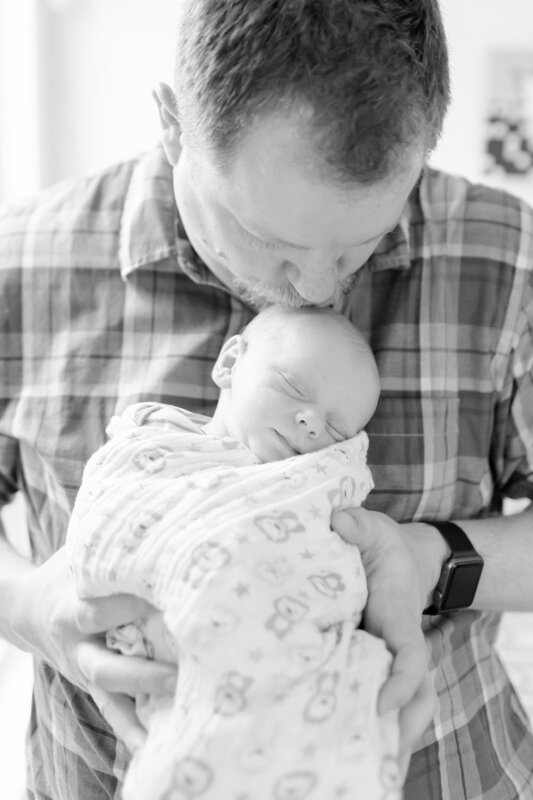 However, he loved being in his crib with his superhero friends and being held by mom and dad. 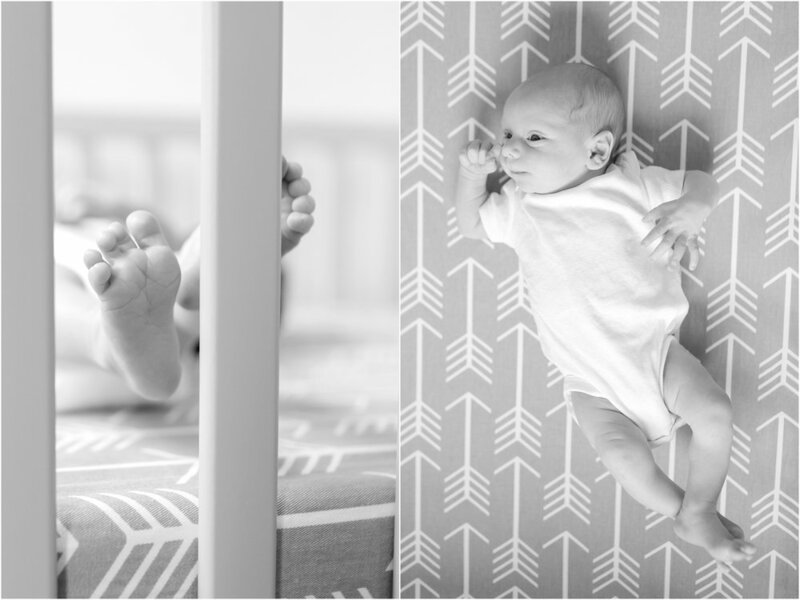 Enjoy these images from Baby Max's newborn session! He is so adorable. Sporting mom and dad's college football spirit where they met! 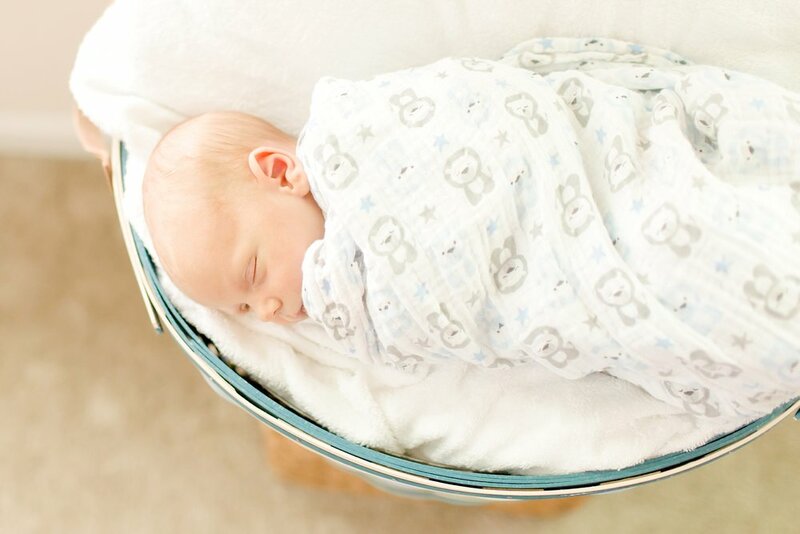 Congratulations Ashley and Matthew, he is precious! Want to see another adorable babe? 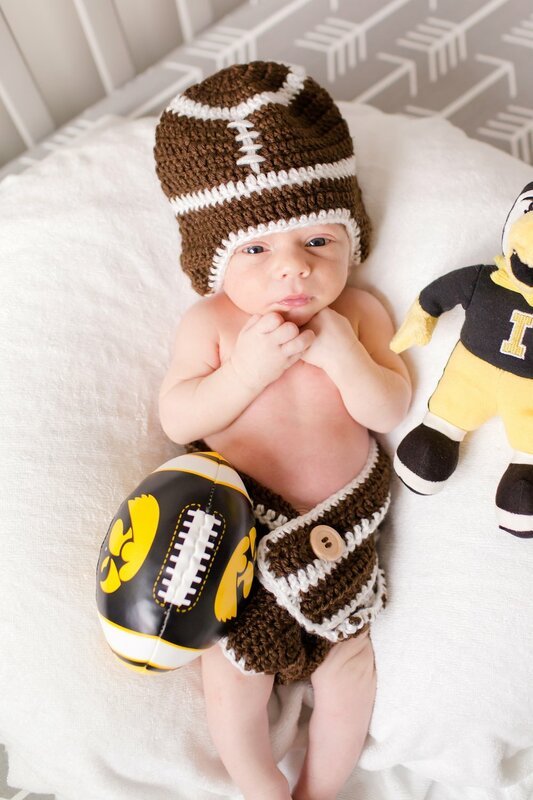 Check out Baby Calvin!